Amy Daws’ Tires Tires Tires inspired romance series is back! Check out this exclusive excerpt from Next In Line which is the second novel in the hilarious Wait With Me series! He turns on his heel, his eyes cast down as he zips up his black winter coat. He begins descending his front steps, finally looking up, and then pauses on the last step. “What are you wearing?” he asks with an accusing gaze as he stares down my body. My brows furrow as I tighten my red wool coat around me. “Clothes. What are you wearing, Mr. Tight Pants?” I mumble the last part under my breath. “I’m wearing winter climbing gear because it’s January and cold enough to freeze the balls off a brass monkey. Where’s the stuff you bought at Marv’s?” He looks damn near angry with me! Sam exhales heavily and turns to reclimb his front steps. “So this means you’re not backing out?” he states with great disappointment as he fumbles through his keys. 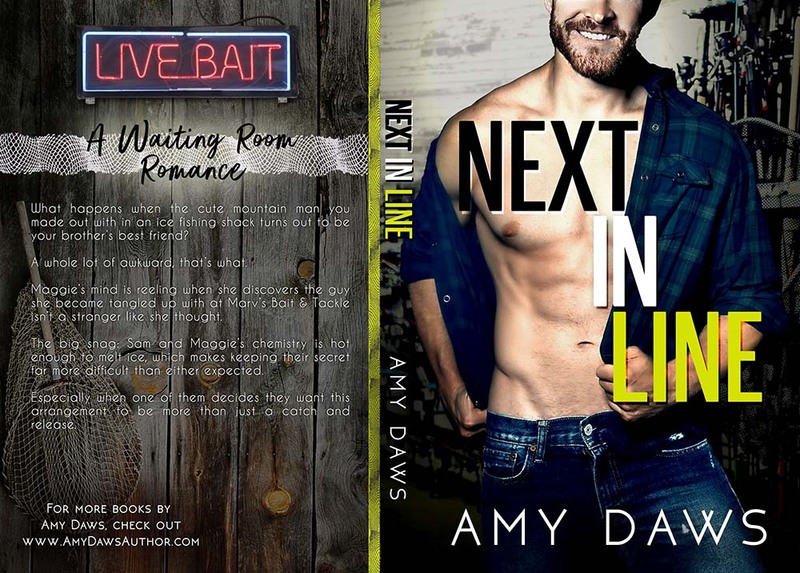 Next In Line (Wait With Me #2) by Amy Daws is availale now on Amazon Unlimited, and don’t forget to add it to your Goodreads! Editors Note: Book synopsis and excerpt provided by author.